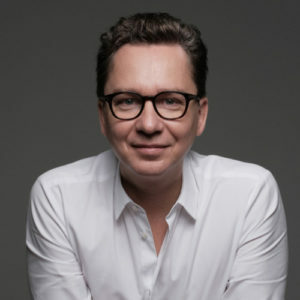 During the Longevity Leaders Forum in London, Sergey Young, a celebrity investor and fund manager announced the launch of the $100 million Longevity Vision Fund. Sergey is a heavy-hitter and plays to win. Before the Longevity Vision Fund (LVF) he managed a fund with over $2 billion in assets under management and delivered above-average returns by investing in technology and classical companies. He shortlisted some of the most impactful scientists in longevity biotechnology as his advisors and invested in the biopharmaceutical companies deeply rooted in this industry. In the past few years, several funds or collections of companies exclusively focused on aging and longevity have emerged out of stealth. These are Juvenescence*, Apollo Ventures, Deep Knowledge Ventures, Life Biosciences, Longevity Fund, and Google’s Calico, which can probably be classified as an incubator. The most prominent player to date is Juvenescence started by the celebrity investor, Jim Mellon; former head of drug development at Pfizer, Declan Doogan, and the first investor in Medivation (acquired by Pfizer for $14.5 billion), Gregory Bailey. They did not create a fund per se but rather formed a holding company that is developing a portfolio of products in many longevity biotechnology areas. They raised over $100 million and are likely to do an IPO soon. Life Biosciences, which raised over $50 million has a similar model. Apollo Ventures, started by James Payer, is focused on venture creation and incubation. Laura Deming’s Longevity Fund is comparatively small but makes smart bets at the seed level. Due to the population growth in emerging countries and unprecedented increases in longevity, the global economy is no longer sustainable. And, paradoxically, the only altruistic way to save the economy from collapsing and accelerate economic growth is to extend the productive portion of human life. The extension of a person’s youthful and productive period is also the most altruistic cause one may pursue because by extending the lives of everyone on the planet by just one Quality-adjusted Life Year (QALY), one can generate over seven billion QALYs, which would create far more of an impact than any doctor. But it is also clear that there is a lot of money to be made in this field. Over the past five years, the longevity biotechnology changed dramatically. Credible advances in aging biomarkers commonly referred to as aging clocks now make it possible to measure the rate of aging in humans and conduct clinical studies without the need to wait until the end of life. These same biomarkers provide us with clues for interventions that may be used to reverse these aging clocks on multiple levels. Advances in artificial intelligence allow us to build multi-modal models of human health and aging and accelerate pretty much every step of the pharmaceutical R&D facilitating for the new sustainable business models that help solve challenges in the pharmaceutical industry. The longevity biotechnology industry resembles the PC industry in the early 80s or the Internet in the late 90s. Everyone understands that it will be very substantial and the world is going to change, but only the smartest investors will make enormous amounts of money. But unlike any other industry, money will not be the main definition of success. It will be the number of healthy and happy years added to everyone’s’ lifespans. Read the entire article by Alex Zhavoronkov, PhD, at Forbes.com. *Jim Mellon and Greg Bailey are co-founders of Culminant Health. What area of longevity interests you the most? Let us know on Facebook!